petition: Tell California to Reinstate Foie Gras Ban! Tell California to Reinstate Foie Gras Ban! A federal judge overturned California's 2012 ban on foie gras, allowing chefs to put the indulgent liver dish back on their menus. Foie gras is produced by force-feeding geese and ducks through tubes that run down their throats to cause their livers to become fatty and engorged. 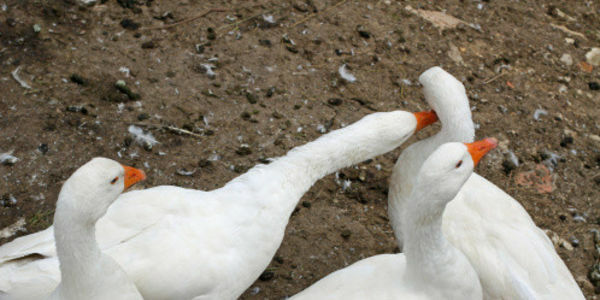 The gratuitous cruelty of this practice sets foie gras apart from other meat products, hence the reason for the 2012 ban. Stephen V. Wilson of United States District Court, ruled the ban unconstitutional on Wednesday, January 7, 2015. He said the ban attempted to override existing federal law regarding poultry production. California state officials still have a chance to appeal Judge Wilson's decision. Please sign the petition to tell California that banning animal torture is not "unconstitutional." Keep foie gras illegal in California! We, the undersigned, are concerned that federal judge Stephen V. Wilson overturned California's 2012 ban on foie gras, allowing chefs to put the indulgent liver dish back on their menus. As you know, foie gras is produced by force-feeding geese and ducks through tubes that run down their throats to cause their livers to become fatty and engorged. The gratuitous cruelty of this practice sets foie gras apart from other meat products, hence the reason for the 2012 ban. We understand that Judge Wilson said the ban attempted to override existing federal law regarding poultry production. California state officials still have a chance to appeal Judge Wilson's decision. We do not believe that banning animal torture is "unconstitutional," and respectfully urge you to appeal Judge Wilson's decision and keep foie gras illegal in the state of California. Thank you for taking the time to read and consider our petition.